We need some volunteers for translating our activity reports! For more information, please contact us via e-mail. 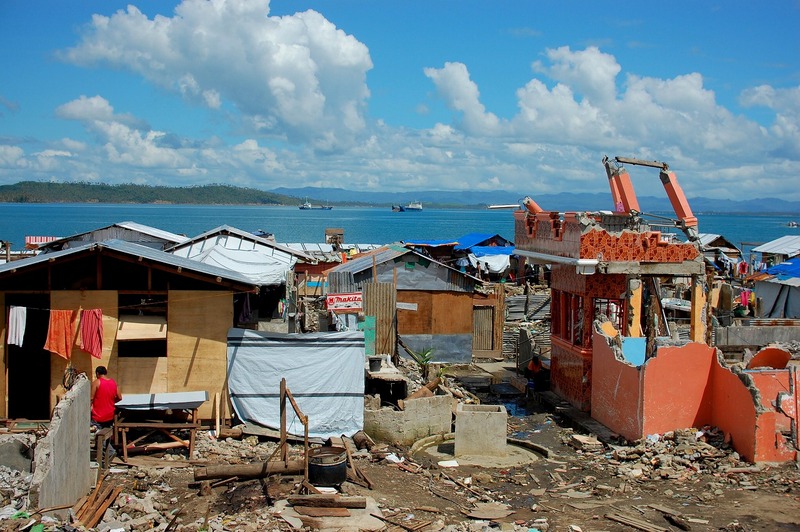 Super Typhoon Yolanda hit the Philippines on November 8, 2013 and death toll has climbed nearly 8,000. 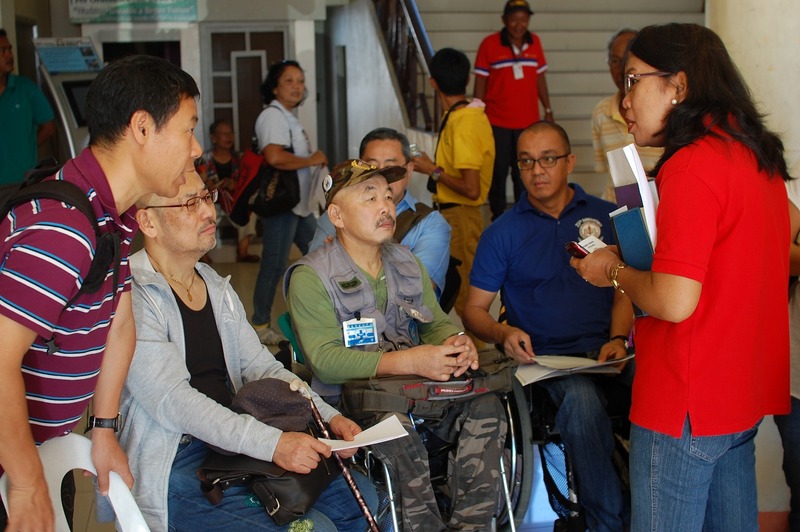 To help people with disabilities in the affected area, DPI-Japan started to collect donation as well as collect information in collaboration with the Manila Independent Living Center for persons with disabilities, Life Haven Inc.
To find a counterpart organization at site and recipients of assistive devices, DPI-Japan, between February 2 and 8, 2014, conducted a study visit in collaboration with Yumekaze Fund, which has contributed for relief activities for disaster-affected persons with disabilities. Study team including wheelchair users visited Tacloban city, Leyte which was damaged severely. As a result of the study, we decided to provide persons with disabilities in the city for assistive devices (15 wheelchairs and 8 pairs of crutches etc.) 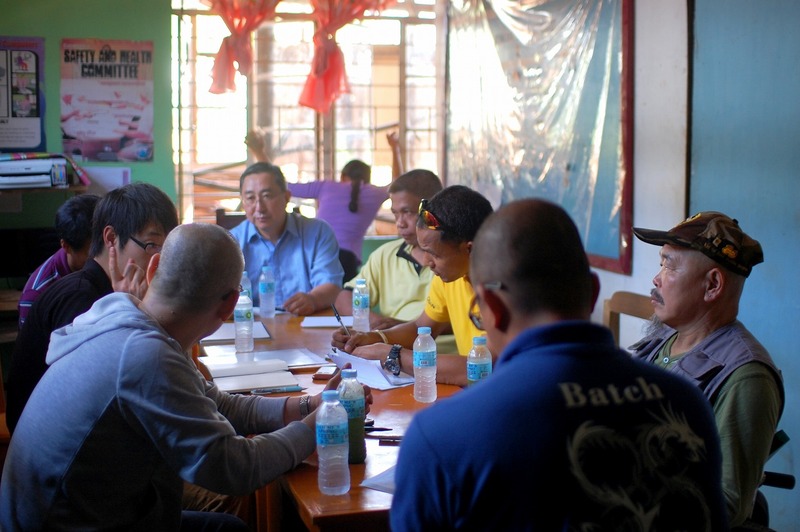 through TAPDICO (Tacloban Persons with Disability Cooperative), the community based self help group of persons with disabilities. Just a part of the disaster-affected persons with disabilities in the city will be provided this time. They are living in very difficult condition without any medical care, even with no safe drinking water. 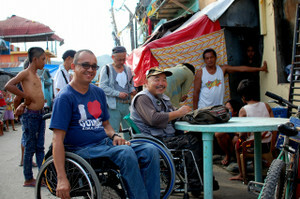 DPI-Japan continuously raise fund and support people with disabilities in the Philippines. Please donate from J-Payment's site. 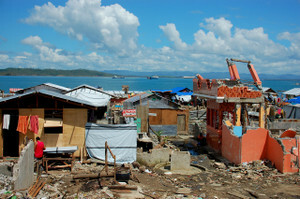 Persons with disabilities can be easily marginalized in all the processes of natural disaster. In this great earthquake also, media seldom reports the situation they are facing. Even in reconstruction stage, the needs of persons with disabilities have not been paid attention enough. It makes persons with disabilities difficult to return and mainstream in society. We must not repeat the history of previous natural disasters again in Japan. Relief Headquarters for Persons with Disabilities of Tohoku-Kanto Great Earthquake is a unique joint effort called for by disability movement in Japan. Our effort for persons with disabilities affected by this great earthquake covers from rescue and relief on site to advocacy for reconstruction. It will take a long, long time to complete our mission. 3,200 protesters from all over Japan gathered in Tokyo, in order to protest against a new governments’ gloss over policy regarding long-stay psychiatric patients.